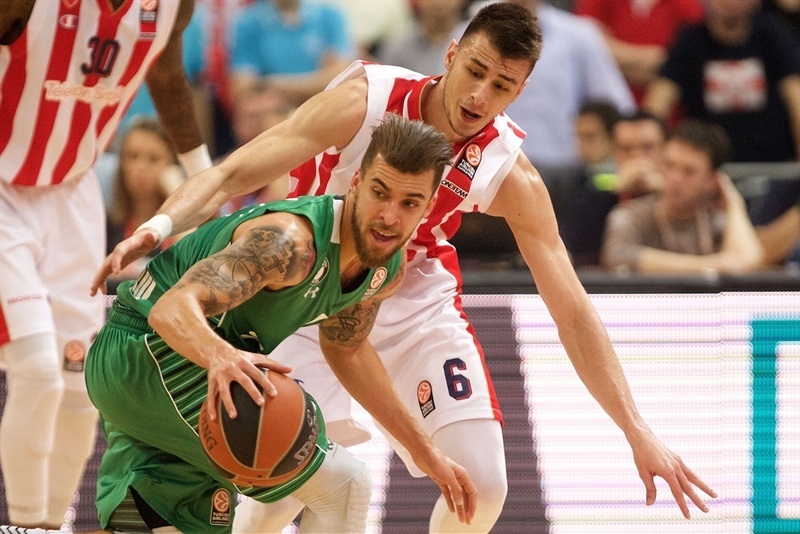 Already-eliminated Darussafaka Dogus Istanbul spoiled the party in the Serbian capital, using a huge second-half run to defeat playoff hopeful Crvena Zvezda Telekom Belgrade 61-80 on Thursday night in Kombank Arena. While Darussafaka improved to 4-9 in Top 16 Group E, Zvezda dropped to 7-6 and missed a chance to clinch its first-ever playoff berth. The hosts had an early lead as Nemanja Dangubic hit from downtown, but Darussafaka came back from a slim deficit to take 34-35 halftime lead. Led by Jamon Gordon, Scottie Wilbekin and Milko Bjelica during a nine-minute span in the third and fourth quarters, Darussafaka put together a 4-23 run to go up 52-66 with 4:41 to play and never looked back. Wilbekin led the winners with 19 points and 5 assists, Gordon had 14 points and 6 assists and 4 steals, while Bjelica finished with 13 points and 6 rebounds for Darussafaka. Quincy Miller collected 18 points plus 7 rebounds, and Dangubic netted 14 in the losing effort for Zvezda. 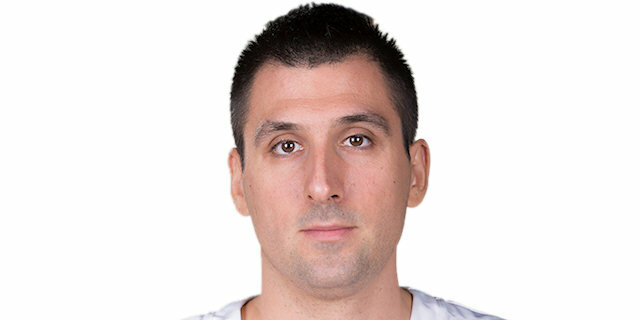 The Serbian champs can still qualify for the playoffs with a win next week on the road against Cedevita Zagreb, or with an Anadolu Efes Istanbul loss in one of its two remaining games. Miller made a corner three and a driving reverse layup in traffic to give the hosts a 5-0 lead to start the game. Gordon opened the visitor's account with a jumper, before Dangubic and Wilbekin traded three-pointers to make it 8-5. Miller spun through traffic to score inside, but Gordon hit a pair of triples, one in transition and the other off the glass to give Darussafaka a 10-11 lead. 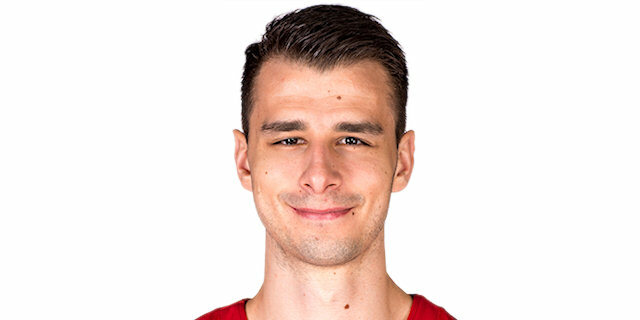 After a 17-minute delay due to a shot-clock malfunction caused by a Maik Zirbes dunk attempt, the same player made a pair of free throws and a huge dunk to restore a Zvezda lead, 14-11. 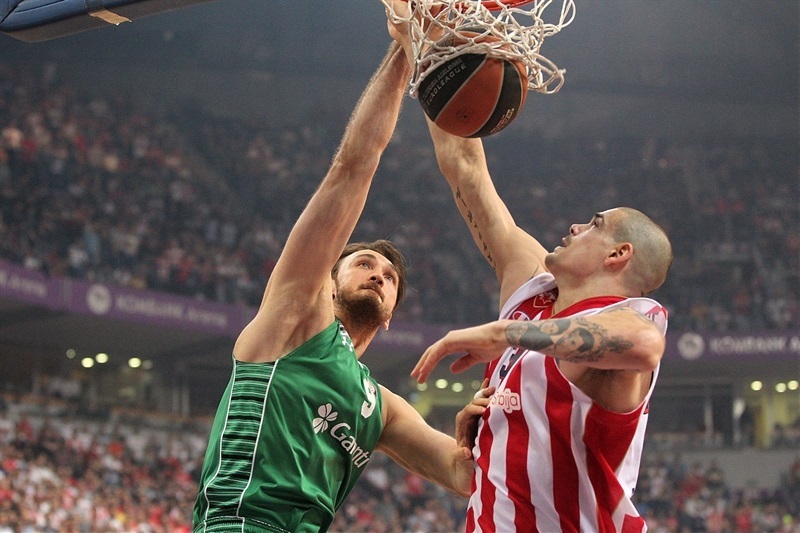 Semih Erden scored inside, and after Dangubic drove to the hoop, Erden had a dunk, too. But Zirbes scored from close range again, and Miller had a fastbreak dunk to make it 20-15 after 10 minutes of play. Wilbekin fed Bjelica with bounce pass for a layup, then scored a put-back on a fast break himself to cut the deficit to 20-19. Branko Lazic scored a quick layup off an inbound-pass, but Ender Arslan answered with a high-arching finger roll. Free throws and a fastbreak basket from Vasilije Micic opened a 26-21 advantage. Manuchar Markoishvili knocked down a three-pointer for the visitors, but Vladimir Stimac had a layup to keep Zvezda in front. After a timeout, neither team scored for almost three minutes before Bjelica made a pair of free throws for the visitors. A tip-in from Furkan Aldemir cut the Darussafaka deficit and after Tarance Kinsey buried a long jumper, Aldemir drove the open lane for a layup to tie things at 31-31. In the last 90 seconds of the quarter, Dangubic put Zvezda back in front with a three-point play, but Aldemir’s foul shots and Bjelica’s driving layup gave Darussafaka a 34-35 edge. Marko Guduric drove for a layup to start the second half, but Erden dunked over Zirbes, and Wilbekin’s three-point play made it 36-40. 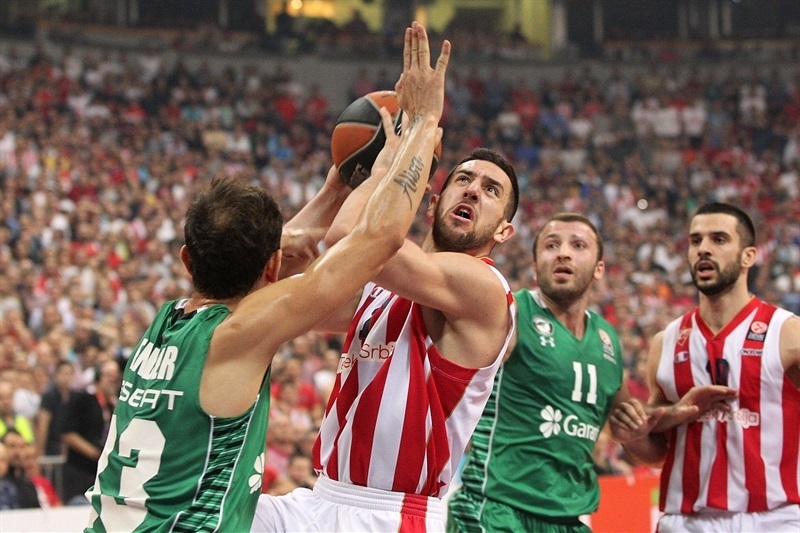 Dangubic answered with a triple, and Miller hit one, too, putting Zvezda back in front 42-40 as the hosts held Darussafaka without a basket for almost four minutes. Wilbekin buried a corner three to tie the game at 43-43 midway through the third. Miller drove for a dunk, and Dangubic made a wide-open corner three to give Zvezda a 5-point lead and force a Darussafaka timeout. Marcus Slaughter scored inside for the visitors, and Wilbekin nailed a three to tie the game again. 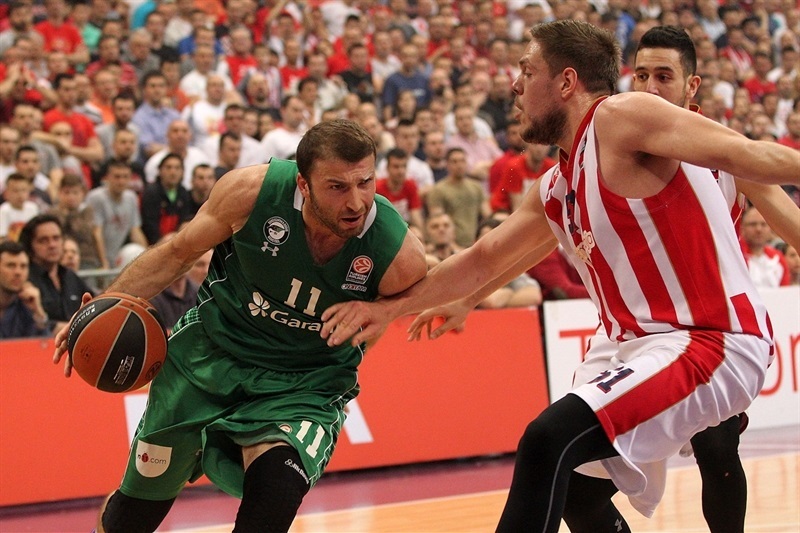 Gordon’s layup-plus-foul on a fast break gave Darussafaka a 48-51 lead and prompted a Zvezda timeout. Wilbekin’s fastbreak layup and a basket inside by Bjelica in the final second of the third quarter opened 49-55 lead. Markoishvili opened the quarter with a long jumper and Reggie Redding picked up a steal and went for a fast break layup on the other end to open a 10-point lead. Guduric hit a triple, but Redding answered with a jumper to keep the hosts at bay. Bjelica drove for a layup to make it the biggest lead of the night at that point, 52-63, with six minutes to go. Darussafaka held the hosts to a single field goal for more than nine minutes, and Slaughter’s three-point play opened a 14-point gap. Guduric snapped the hosts’ drought, but Redding and Bjelica made easy layups, and Wilbekin hit a corner three-pointer to make it 56-73. With the game out of control for the hosts with two minutes remaining, Miller had a dunk, but Wilbekin fed Slaughter for an alley-oop layup. Before the game’s end, Redding knocked down a three-pointer, and after Micic scored for Zvezda, Wilbekin and Slaughter combined for an alley-oop dunk to round out the scoring. "Darusafaka was better tonight and deserved this win. 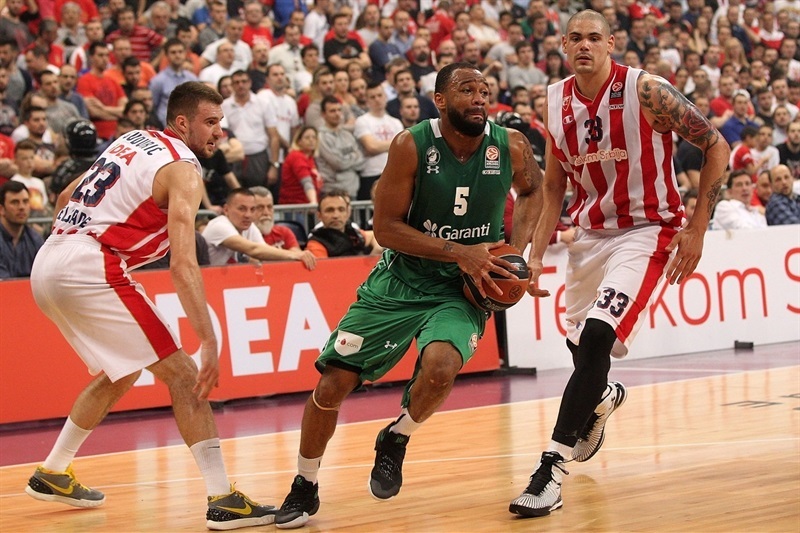 We opened the game highly motivated and playing good at both ends, but Darusafaka kept a good rhythm. We failed to take advantage of our good play and we failed to take a big advantage. Later we were trying to wake up, but we fell down. 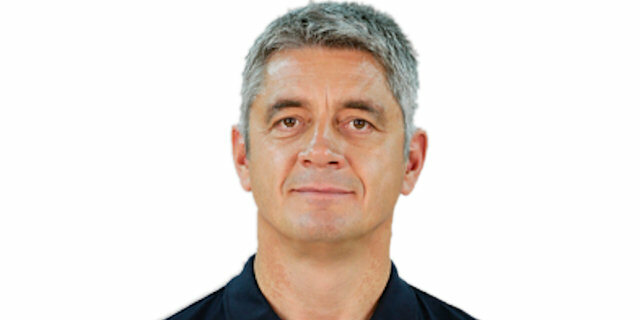 Darusafaka is a much more experienced team. 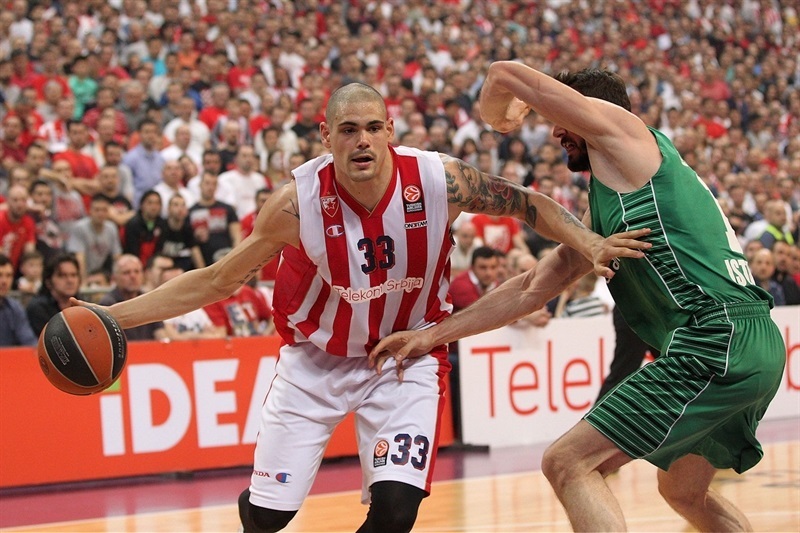 We have to prepare for our next do-or-die Euroleague game with Cedevita in Zagreb. " "We controlled the game all the way. Our plan was not to let Crvena Zvezda score easy points. In the second half, we played more aggressive in defense and several offensive rebounds gave us second chances. This win means nothing for us regarding our chances in the competition, but it means a lot for our self-confidence. We played in a sporting manner." "This is a tough loss. 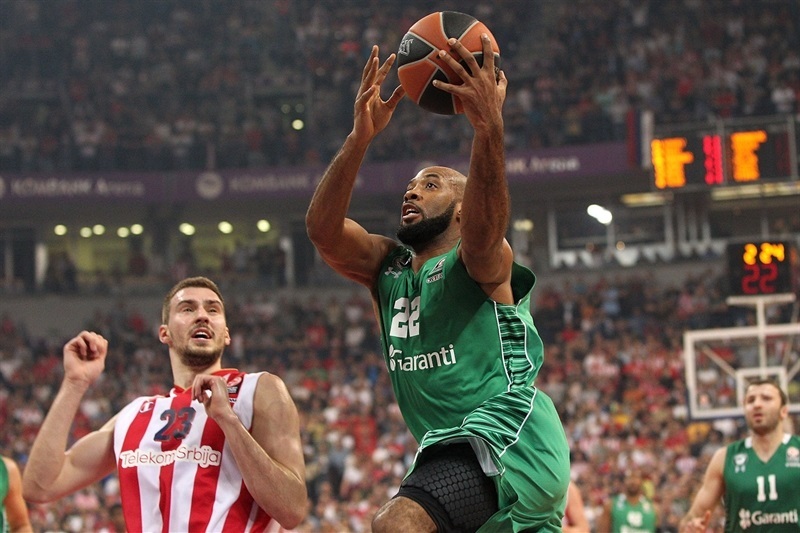 Darusafaka played an excellent game as we fell in the third quarter. 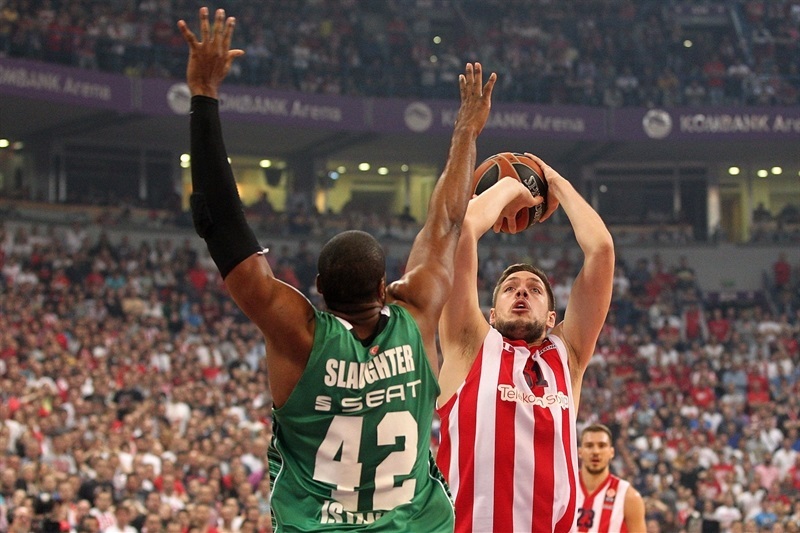 We are turning to our next Top 16 game against Cedevita." "We opened the game well and worked hard on defense. We had no ups and downs, which is what has characterized us this season so far. 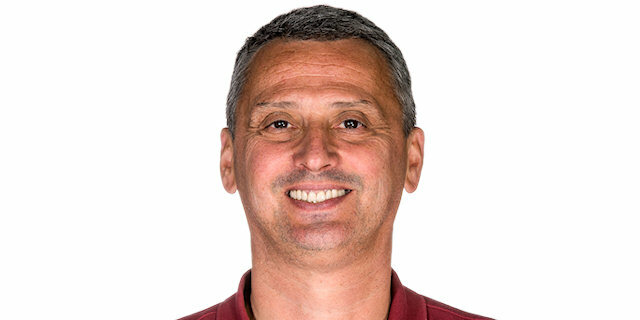 I think Crvena Zvezda played under heavy pressure."